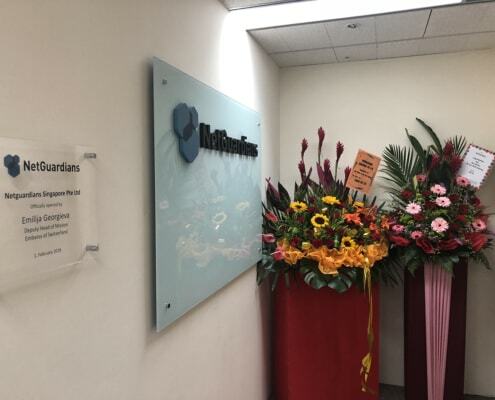 We are pleased to announce the official opening of NetGuardians Asia in Singapore. 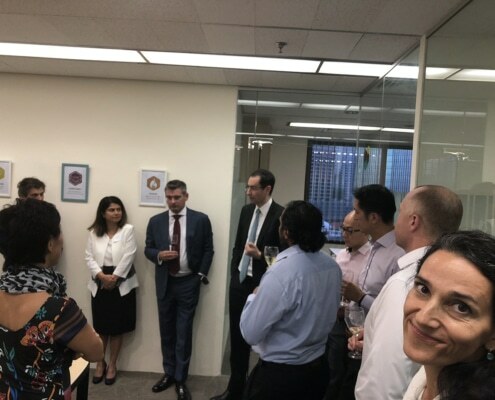 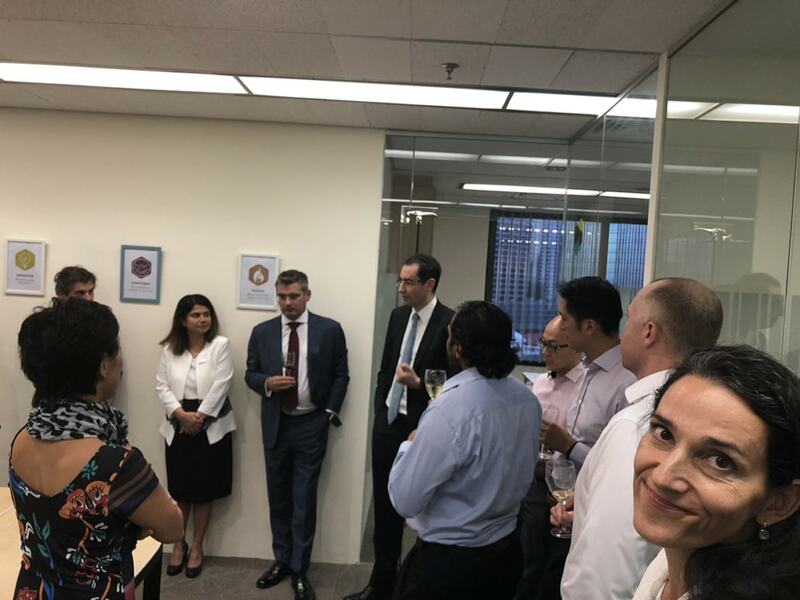 Last week, on the 1st February 2018, NetGuardians Asia celebrated the office inauguration with a cocktail and a journey through wine and food with the renowned Swiss sommelier Michael Leitner. 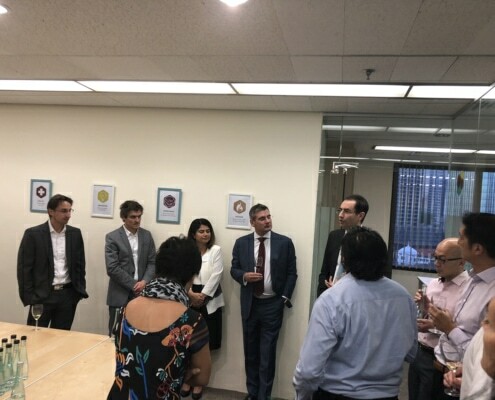 The event brought together clients, media, partners, and the NetGuardians team including both co-founders, Joël Winteregg and Raffael Maio. 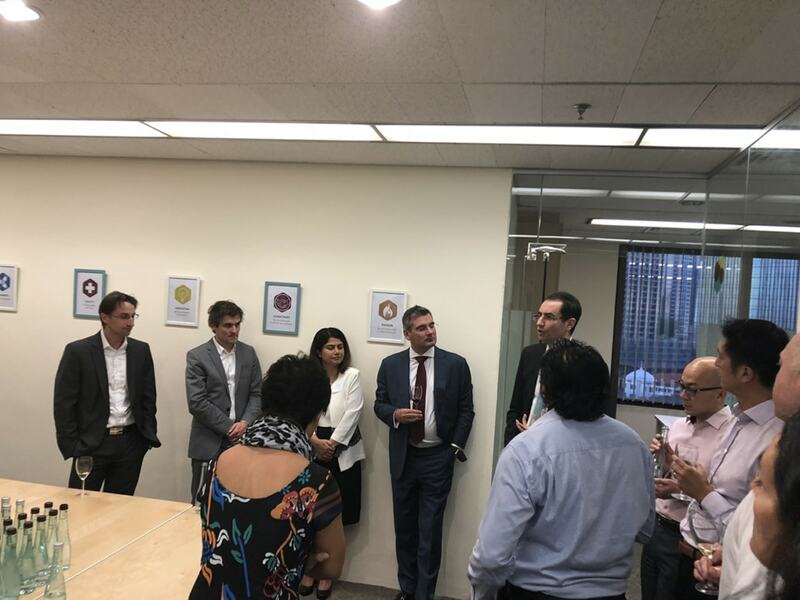 We had the honor to welcome Emilija Georgieva, Deputy Head of Mission Embassy of Switzerland who attended the event with an opening speech.